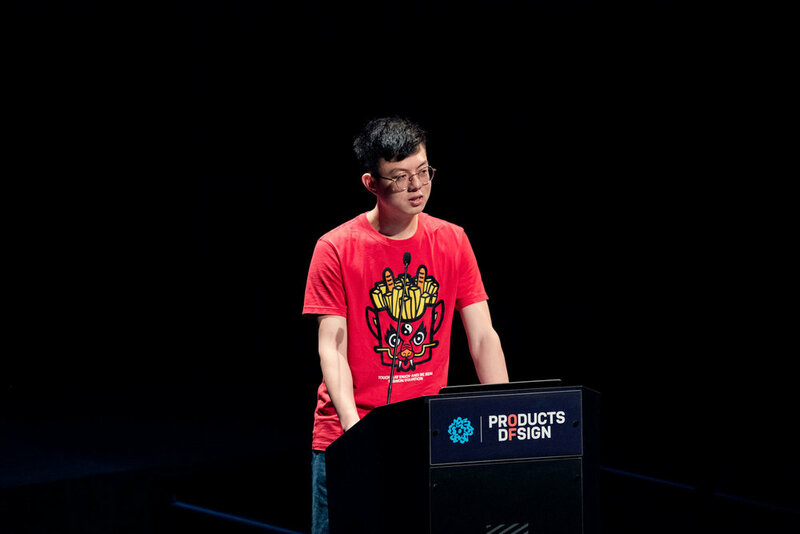 Yu—a designer and gamer himself—is fascinated with using the medium of video games to bridge the virtual and digital worlds as we head into a new era of mixed reality. 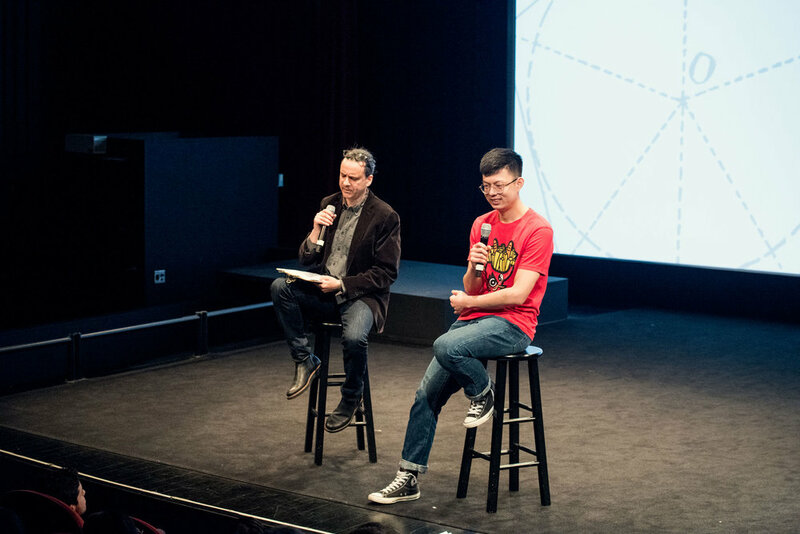 He is propelled by the hope that games can serve as the supportive environment in which gamers and non-gamers alike find meaningful connections and purpose in their lives. World Pees is a speculative object that gamifies men’s urinals to reduce “stage fright.” Imagine this—aliens are trying to invade the men’s restroom and eventually enslave the entire human race. The urinals are the portals through which they pass, and urinal users are the soldiers who must halt this invasion. Will they step forward and shoot them down? World Pees is also an app-based game. The app locates World Pees urinals throughout the city, and tracks the highest scores of each urinal so you can rank your skills as fighting off invaders. 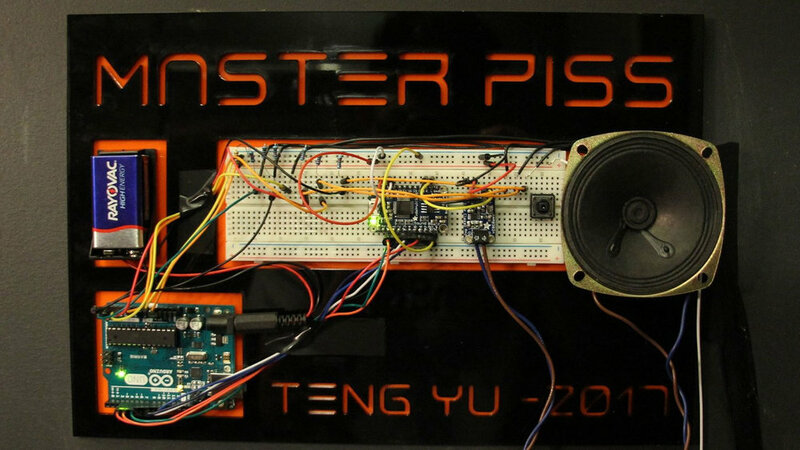 Master Piss is another a speculative game through which men can create different kinds of music when peeing on different parts of the urinal. 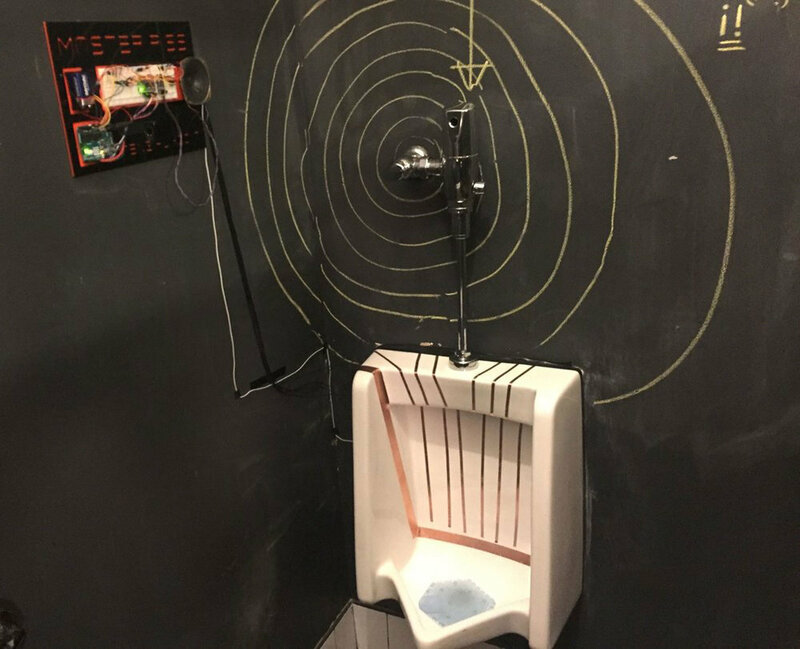 The game brings joy, conversation, and interaction to those peeing in public. Portal Drop is a scavenger-hunt service that uses gamified trucks and an online platform to both physicalize the digital game experience as well as provide a much-needed opportunity for physical exercise to sedentary gamers. The online platform sends the mission and reward list with the map to gamers. They then locate trucks by following a map, and complete the mission as instructed by the app. Portal Drop hybridizes physical and digital gaming elements to create a seamless, mixed reality gaming experience. 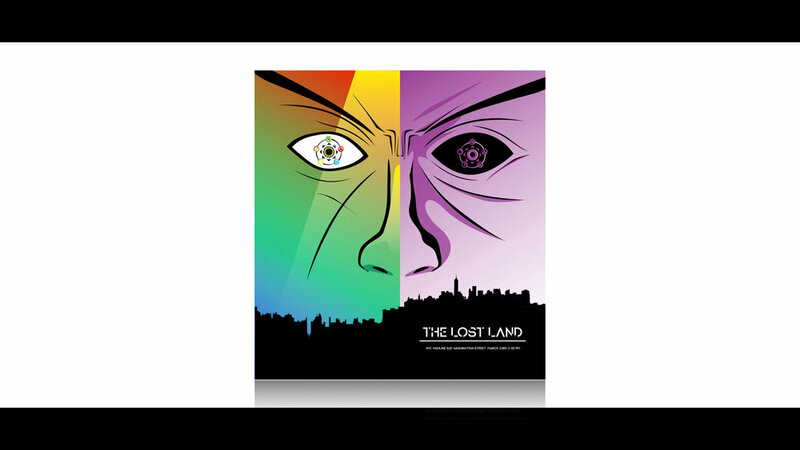 The Lost Land is an experience design project where gamers collect tokens by completing different missions from NPC. They can then use these tokens to battle one another in a last-person-standing format. 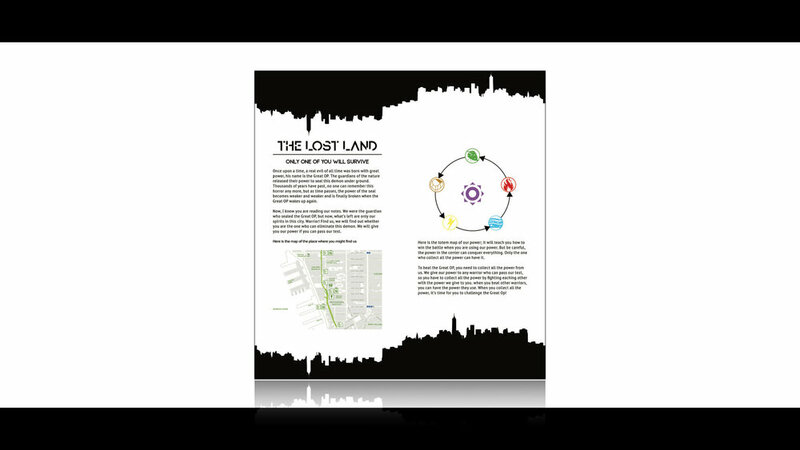 Yu held this activity New York City’s High Line Park to explore the reaction and possibilities of those engaging in this gamified public space. Recharge is a two-part project: a gaming app and a set of wearable devices consisting of wristbands, a chest-plate, and ankle bands. The wearables act as sensors that listen to input from players to attack and block. The app serves the figurative heart of the player’s avatar, and shows how many health points and “mana points” remain. Players “attack” other players by striking any number of physical poses. The phone, housed in the chest-plate, calculates how many times gamers get attacked and reflects it on the screen. Yu designed Recharge to bring the battle that gamers use to have in the virtual world into the real world, reintroducing a sense of physical play into the lives of digital natives. To learn more about Teng Yu’s work, visit www.tengdesignworld.com. For inquiries, please contact him at tengyu828@gmail.com.